I have lusted after the Pohl Force Mike One for years. I wanted one ever since Andrew acquired and reviewed his in 2013. For the uninitiated, Pohl Force is a tactical knife company owned by Dietmar Pohl, a long time knife collector, knife designer, knife enthusiast, and author of books on knives. I have met with Dietmar, and the USA distributors for Pohl Force a couple times at Blade Show. It was hard to walk away from the Pohl Force booth without a Mike One in hand, and I eventually broke down and bought one. I’m glad I did. Even 3 years later this knife is still awesome and unique. It’s like a European Strider with its integrated G10 handle scale/backspacer, not to mention the unique profile and finish work. But I’m getting ahead of myself. There is a lot to consider with the Mike One and I’m glad to present this review, even if I’m a little late to the Pohl Force party. The Mike One has an overall length of 8.66″, a 3.74″ blade, weighs 5.64 ounces. The Mike One is made by Lionsteel Knives in Maniago, Italy. This is advertised as the “EDC size” Pohl Force folder, and it certainly seems to be EDC (Every Day Carry) sized next to the Foxtrot One, which is a massive knife featuring a 4.5″ blade and overall length of 10.25″. This Mike One is still a formidable knife, but could be a good size for EDC if you are a police officer, military member, or anyone else who can get away with a larger daily carry blade. Personally, this is not a daily carry as I tend to favor knives in the 3-3.5″ blade range for EDC. The Mike One sports a slender drop point blade with a high flat grind and swedge. This is a 5mm thick blade, which is quite beefy for a folding knife. While Lionsteel has done a nice job grinding the blade to a thin edge, this is still a stout blade with hard use in mind. The tip is formidable and there is plenty of cutting edge. It strikes me as a great well-rounded blade shape that could be pressed into a wide range of tasks. My particular version of the Mike One is the “Outdoor” version with the stonewashed finish. There is also a black PVD coated “Survival” version. I favor this stonewashed version. The blade is still quite reflective despite the tumbled finish, and you can almost use it like a mirror. Niolox is the de facto steel for Lionsteel’s outdoor focused blades, and it’s a nice choice on this Mike One. I have some experience with Niolox after extensively testing the Blackwater Grizzly 6 and Ursa 6. Niolox has proven itself to be tough, yet reasonable to sharpen and resistant to corrosion. I think it’s a great choice and I’m excited to have the steel in a folder. I consider it to be a good upgrade over something like D2, with improved stain resistance. As I alluded to earlier on, this knife comes with a beautifully sculpted black G10 handle slab and backspacer. Just like on the Strider SnG, this is a single piece of G10 that forms both the backspacer and non-locking side of the handle. Lionsteel kicked the production values up a notch by putting finishing the handle with a grooved pattern and also machining a geared backspacer. An equally impressive titanium framelock and black chain ring bolt hardware add further detail and visual interest to the handle. They did an awesome job and in my opinion, the build quality and finish work is higher than on that of the Strider. The 50/50 forward finger choil and dual thumb ramps offer the end user a ton of grip options. You can choke up on the blade for detail work, or choke back for leverage per the below picture. Regardless of how you hold the knife it always feels comfortable and natural. The milled handle and backspacer compliment the handle design nicely by providing good traction without being irritating. There is little jimping, and the knife is comfortable to use, even after extended heavy cutting tasks like carving and push cutting rope. The Mike One features an oversize wire clip. Frankly I wasn’t aware of how much some people loathe the Spyderco wire clip. One commenter said that the Spyderco wire clip was “feeble” and that I was “feeble” for liking it. You gotta love the internet – that’s a strong opinion on a pocket clip! At any rate, the Mike One’s wire clip is nothing like the Spyderco version, so if you don’t like the Spyderco clip you may like the clip on this Mike One. For starters, it’s a much stronger clip. The knife has great retention in the pocket between the tough clip and corrugated handle. This clip has some pant shredding potential, but it will never fall out of your pocket. While not a true deep carry clip, the Mike One still buries deeply and carries discretely thanks to the matte finish and stealthy nature of wire clips in general. Despite this being a near 6 ounce knife the Mike One carries well thanks in large part to the sturdy clip. I occasionally forget I am carrying this one. I wouldn’t carry this in slacks, but for shorts, jeans, or work pants you will find that the Mike One behaves well in the pocket. The Mike One makes use of a serrated thumb disk. Thumb disks are not my favorite method of deployment, but it works here. The thumb disk is removable, which makes the knife a 2-hand opener, and more appropriate in some of European countries. The action is slow and purposeful thanks to teflon washers. Again, teflon washers are not my favorite choice. I really would like to see phosphor bronze washers here, as I think the knife would open a little easier with them. The end result is that you have a knife that takes a fair amount of effort to open – especially when compared with the flippers of today. This is probably my biggest gripe with the Mike One. This is a titanium framelock, and here we have no steel insert. Lockup is extremely secure, opening with a heavy “click”. There is no blade play in any direction. Nor is there any blade stick. As far as titanium frame locks go, I think this one has been well executed. The end result is impressive and tank like. The Mike One is all business, and that shows in the deployment and lockup. LionSteel did include their RotoBlock mechanism on the Mike One. The RotoBlock is an over travel stop that prevents the user from hyper-extending the lock bar, and it can also be twisted to lock the knife open. It’s an interesting feature, but not one I ever find myself using. It’s probably handy if you ever decide to test the limits of the Mike One. For regular guys like myself it will probably get in the way more than it will help. Blade centering is good on my knife. Not perfect, but pretty close. This review has been several years in the making, and I am glad to finally have one in the collection next to my Fantoni CUT Flipper and LionSteel TM1. This is another a unique and practical design that has been executed beautifully. I prefer this smaller format to the larger FoxTrot One. I handled the FoxTrot One, and it’s almost comically large. While the Mike One is a more practical EDC than the FoxTrot One, I wouldn’t mind seeing something even smaller. 3.5″ blade is about as big as I will go for EDC, but I realize that Pohl Force is catering to more of a military and LEO crowd. So while this is more of a collectible for me than a daily carry, it is a fully functional knife and designed for use. I also like how Pohl Force goes so far as to include an oversized zippered pouch, a “Zertifikat” of authenticity, and even a Tuff Cloth and a kydex sheath. Everything about the Mike One is top shelf, and clearly a lot of thought and care went into all aspects of this knife. Although Pohl Force has ceased working with dealers effective June 2016, you can still find Pohl Force Knives at BladeHQ or possibly Amazon. Please consider that purchasing anything through any of the links on this website helps support BladeReviews.com, and keeps the site going. As always, any and all support is greatly appreciated. Thank you very much. Down here in Florida we don’t get a lot of seasonality. For example, I wore shorts and flip flops on Christmas. But when the air starts to turn cool I get a hankering for 2 things: cigars and fixed blade knives. I am pleased to say I have been able to indulge in both this fall, and am ready to provide a review on a quintessential camp knife: the Becker BK-2. Built in the USA by Ka-Bar, and designed by Renaissance man Ethan Becker, the BK-2 has been widely accepted as a go to survival / camp knife for years now. I can’t tell you why I haven’t reviewed this classic fixed blade yet. There are many knives out there I’d love to review (one day I’ll even get to the classic USMC Ka-Bar) but just haven’t found the time for. Well, scratch the BK-2 off the list. This one has been tried and tested and I’m pleased to share some thoughts with you today. The BK-2 has an overall length of 10-5/8″, a 5-1/4″ blade, and weighs 16 ounces. The BK-2 is a chunky knife. Pictures really don’t do it justice, as the proportions may suggest a smaller knife. I was pleasantly surprised by this, although if I were planning an ultra lightweight backpacking trek along the Appalachian trail I’d be less pleased. This strikes me as a tool for a camp site, truck, or your back yard – not something you will want to schelp for miles and miles on end. The blade is a .25″ (6.35mm) thick slab of 1095 high carbon steel. For whatever reason when I ordered this knife I thought it might be interesting to compare it with my ESEE-3. It turned out to be a poor comparison, because next to my ESEE-3 the thickness of the blade is almost comical. The ESEE-3 might as well be made of aluminum foil when compared with the BK-2. Anyhow, the blade of the BK-2 is a classic drop point shape with a high flat grind and a sturdy tip. The knife has also been powdercoated. The powdercoating is heavily textured like on my ESEE blades. The coating will provide some rolling resistance when trying to cut deeply into things – at least until it gets smoothed down with use. The BK-2 is interesting in that it can accomplish a lot of different tasks within its relatively small footprint. It’s good for batoning / splitting wood. I used it with great success to prepare a stack of wood for a couple bon fires. I was able to split logs with up to a 4″ diameter easily. You can do some carving with the knife, and I used the BK-2 to whittle up some shavings / tinder to start the fire, and to carve a few stakes for cooking. Although it’s a little thick and clumsy in my hands for serious carving, I was able to get the job done. The BK-2 is also a decent chopper considering its size. This is a shorter knife, so naturally it won’t chop like an axe or a big fixed blade like the Junglas, but if you need to do limited chopping it will get the job done. Case in point, I needed to chunk up some large frozen sardines for a fish trap I was using – the BK-2 blew through those suckers. For these reasons the BK-2 is a natural choice for camp chores: building fires, prepping food, and odd jobs around a camp site where a sharp object might come in handy. The only downside is that the BK-2 doesn’t particularly excel at anything. If you need a dedicated chopper, or an ultra fine carving knife, then you will want to look elsewhere. If you want a tough “do it all” knife, then the BK-2 could be a good choice. As previously mentioned, the BK-2 comes in 1095 high carbon steel. I have wrote about this steel at length, especially over the course of reviewing an number of ESEE knives. 1095 is inexpensive and hearty. It’s easy to sharpen and holds a nice edge, especially when working with wood. It’s tough, but if you do chip it, you will be able to salvage the edge. 1095 is a good working steel, and I think it’s a great choice for this knife. The BK-2 features a spacious zytel (high density plastic) handle over it’s full steel tang. This is a very basic handle design, and it’s perfect for a workhorse knife like this. Ethan Becker apparently spent a lot of time getting this handle shape right, which is why you find it on his whole series of knives. The handle material is humble (although you can easily pick up a pair of micarta scales), but it’s lightweight, and very tough. The finish work on the handle is great. There are no sharp edges, and all of the hardware is sunk deeply into the handle. Rounding things out are an oversize lanyard hole and a generous exposed pommel that can be used for hammering / crushing things. This is a very clean and highly functional handle design. It has also been well executed. From an ergonomic standpoint the handle of the BK2 feels as straightforward as it looks. This is a thick handle with a generous palm swell. There is plenty of room for larger hands and the absence of jimping / aggressive texture allows you to work with this tool for extended periods of time without blistering your thumb. Those wanting a little more grip could upgrade to micarta scales, or wrap the handle with athletic tape or a “ranger band” (a section of bicycle inner tube). I did not notice any hot spots while using this knife. This is a fantastic handle shape. The BK-2 comes complete with a plastic and nylon sheath. The sheath is simple, lightweight, and sturdy. It has excellent retention, yielding a very satisfying snapping sound when you shove the knife in place. There is no blade rattle at all, and I am not the least bit concerned about the blade ever falling out from the sheath. There is also a drain hole. The nylon belt loop is simple and features a snap fastener for extra retention. It is fully removable with a Phillips head driver, and the plastic sheath is riveted together. The rivet holes and slots leave you with plenty of options for molle locks, tek-loks, paracord, and webbing. This is an outstanding sheath and it compliments the knife perfectly. Also, the snap fastener lies flat, so I have yet to cut into it when drawing the knife. The only creature comfort missing is that you need to take your belt off to feed it through the belt loop. I like being able to remove a belt sheath without having to take my belt off, but it’s not a deal breaker. 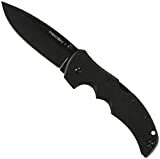 The BK-2 is an impressive knife, especially when you consider that they are selling for right around $65.00. This is a lot of high quality tool for the money. The simplicity of the design, the quality of materials, and the extremely high level of fit and finish all make the BK-2 punch above its weight. Plus, it works. The stout geometry of the blade is excellent for processing wood, the handle is about as comfortable as they come, and the sheath is lightweight and functional. Finally, the knife itself is made in the USA (the sheath is made in Taiwan). I happen to like a USA made product, although it certainly isn’t a requirement for a favorable review. All told, it is easy for me to see why the Ka-Bar Becker BK-2 has earned such a following and reputation. It’s simple and it works. If you are looking for an indestructible camp knife or a compact (but very stout) survival knife, then I highly recommend the BK-2. 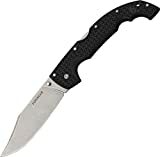 I recommend purchasing the BK-2 at Amazon.com or BladeHQ. Please consider that buying anything through any of the links on this website helps support BladeReviews.com, and keeps the site going. As always, any and all support is greatly appreciated. Thank you very much. In the past I have compared knife collecting to mountain climbing. Certainly there isn’t the element of physical accomplishment, as the only thing that really gets a workout is your wallet, but there is that spirit of pursuit and of course the ascent up a pile of incrementally more expensive knives. When considering the “summit” in the realm of production knives three big players in the US market come to mind: Chris Reeve, Strider, and Hinderer. I have been tooling away at this website for the better part of 4 years now, and have already covered multiple Chris Reeve and Strider products, but I’ve yet to review a Hinderer. That is because I had yet to purchase a Hinderer until 6 months ago. The reason it has taken me so long to review a Hinderer is the same reason why many people get so hung up on Hinderer knives in general. They are difficult to purchase unless you win a lottery at one of the knife shows Hinderer goes to, happen to qualify for Hinder’s active military / first responder program and buy directly from Hinder, or want to pay a substantial mark up for a Hinderer on the secondary market. With a retail price from Hinderer of $385, these knives were selling for $700, $800, $900+ on the forums. We could get into a huge debate as to whether they are “worth” the money. At the end of the day, they are worth what you will pay for them. Over the past few years I have seen the secondary prices creep down a little, and was able to snag this new XM-18 3.5″ for $550. At that price I was comfortable buying the knife knowing that I could eventually sell it and recover most if not all of my money. Your mileage will vary. The 3.5″ XM-18 has an overall length of 8.25″, weighs 5.6 ounces, and of course it sports a 3.5″ blade. This is a very substantial tool. It is over half an inch thick, and was definitely not designed for desk jockeys like myself. Rick comes from a firefighting background, and built the XM with first responders in mind. It’s a big and heavy knife designed to perform under the hugely demanding situations first responders run into. I run a small law office on the coast of Florida. The closest thing I come to being a first responder is responding to the office manager’s announcement that someone dropped off a dozen donuts in the break room. On weekends I mow the lawn, go to the beach, and occasionally write articles about pocket knives. Some might suggest the 3″ XM for someone like myself, but I have always wanted to check out a 3.5″ flipper slicer. So here we are. The blade of the XM is Rick’s classic drop point shape. We have seen something similar to it in the myriad of KAI/Hinderer collabs that I have covered over the years. My particular XM has been given Rick’s “slicer” grind, which is his leaner more cutting oriented grind. Contrast this with his thicker reinforced “Spanto” grind. Even though this is the slicier of the two grinds, it’s still quite thick behind the edge and favors durability over raw slicing performance. I’m okay with that as it seems to suit the beefy, reinforced nature of the rest of the knife. Hinderer offers their knives in a number of different blade finishes, and even a wharncliffe version now. Mine has been given a nice tumbled finish although you can also get them beadblasted, coated, or even hand ground by the man himself if you have the cash. Over the years Hinderer has offered the XM in a proverbial cornucopia of different steels. The blade steel of this particular XM is S35VN which is probably what most of them are being made out of these days. S35VN is a good steel and has been adopted by Chris Reeve and Spyderco. The blade is heat treated to 60-61 HRc. This is a touch harder than what Chris Reeve has been heat treating his S35VN to, and the result is better edge retention, but it’s theoretically a little harder to sharpen. In use I have found that the edge stays keen, and I have only had to strop it to maintain sharpness. I haven’t had issues with rust, chipping, or anything else. No complaints here. The handle of the XM is very well done. You have a G10 scale over titanium liner on one side, and then a full titanium frame lock on the other. Holding everything together is a bunch of custom hardware. This handle is beautifully made and you can really get to understand the quality of the XM by closely examining it. The parts are all overbuilt, but wonderfully finished. My titanium locking side has been completely stonewashed and this nice hard wearing finish compliments the blade nicely. It really is a beautifully made handle. In hand the XM 18 is all business. Again, Rick designed this knife with firefighters and military in mind, and it’s a no-nonsense tool that works in a variety of grips. I have always been a fan of forward finger choils, and even without the choil there is plenty of room on this handle for large gloved hands. This is also a thick knife, and it really fills the hand. I can only imagine what the XM-24 is like. It’s probably akin to driving around in an S-Class Mercedes all day – solid and roomy. There is jimping on the spine, lock release, and pommel, but it’s wide soft jimping and doesn’t tear up your skin. I’d say the ergonomics are pretty solid with this one. Hinderer equips the XM 18 with a reversible pocket clip. It’s not a deep carry clip and favors ease of access over concealment. It’s a big heavy knife, so you will feel the XM-18 in your pocket, but it carries alright for what it is. The clip sets into a recess in the handle so it’s a very sturdy design. I think it’s interesting that they include a “filler tab” for the clip mounting position you don’t use. Hinderer offers these knives in flipper and non-flipper variants. Here of course I have the flipper version. Many view this as the knife that got the titanium frame lock flipper craze going, and the ZT0560 collab really brought that front and center to the masses. What is sort of ironic about the XM-18 is that it’s not a particularly good flipper. Back when these first came out I am sure the flipping action was considered to be fine, but these days even my $30 Swindle out flips this knife. There are teflon washers inside and while I can pushbutton the blade open it isn’t a rocket launcher flipper by any stretch of the imagination. But that isn’t necessarily a kiss of death. This is still a very nice smooth knife with good action, and reliable deployment. You just need to decide whether you are looking for a really fast flipper or not. I will say the thumb studs work fine on this XM. Lockup on this knife is the stuff of legends. The thick titanium lockbar engages early against the tang of the blade and there isn’t even a hint of play. The thumb studs double as blade stops and the stop pin is sleeved to avoid peening. There is zero stickiness to the lock despite not having a stainless steel lockbar insert. Also, lets not forget the inclusion of the Hinderer lockbar stabilizer. I’ve mentioned it in scores of other reviews, but this is where it all began. Lockup is just super duper good. Politics and price points aside, this is an impressive knife. I feel that there is a substantial bump up in beefiness and build quality when compared with a Strider or Chris Reeve offering, and it’s a big jump from Spydercos, Benchmades, and even new ZTs. When I compare the XM to everything else I have reviewed before, I have to say that the XM is a different knife. It’s difficult to put into words, but it feels like every piece of this knife was first carefully contemplated, and then overbuilt and meticulously finished to a fanatical degree. This is an extremely solid knife and I am glad that I have finally been able to acquire one for long term testing. That said, the 3.5″ XM-18 does have its potential draw backs. The fact that it’s heavy, and doesn’t flip very well are the biggest draw backs that come to mind. This XM has been in my collection for several months now, and I’ve tried my best to approach the review cautiously given the enormous amount of hype built into these knives. While I can’t say I would spend $800 for one of these, I do think they are easily worth the $385 MSRP. At $550 I am less enthused, but still respect the knife for what it is. Like any other luxury good, some will love it while others will blast it as a ridiculous extravagance. Those that don’t like it can simply vote with their dollars and spend their money elsewhere. Personally I view this as either a dedicated tool or a collectible. It’s not a daily carry item for me. But again, I don’t work as a first responder. I “need” this knife for work much like I “need” a Hummer to accomplish my 20 minute suburban commute every day. That said, I realize there are plenty of people who may actually need, or want, an over built knife like this. And if that’s the kind of knife you are looking for, Hinderer delivers in spades. I can say without hesitation that the XM-18 is a beautiful knife, and I recommend checking one out if you are at all interested in it. I am glad I did. KnifeArt has a great selection of Hinderer XM-18s, and they pop up on BladeHQ as well. And lately Amazon has been stocking them as well. I recommend purchasing them at these retailers. Please consider that purchasing anything through any of the links on this website helps support BladeReviews.com, and keeps the site going. As always, any and all support is greatly appreciated. Thank you very much. Over the years I have had several requests for machete reviews. To be perfectly honest, I’m not sure why it has taken me so long to deliver. The machete is a timeless tool. Although it is most readily identified with jungle survival, its applications are far reaching and potentially adaptable to a wide variety of climates. I happen to live in SW Florida and can safely say that the machete is well suited to this semi-tropical region carpeted with fibrous palms and grasses, thick vines, and relatively soft woods. I’ve had the ability to sample a number of machetes over the years, but can still think of no better machete start with than the Ontario 18″ Machete. The model number is 6145 ad the knife is sometimes referred to as the “military machete.” Whatever you want to call it, this is a high end take on a classic tool. This knife will cost a little more than a $10 or $15 Chinese machete, but I humbly submit that this American made piece is well worth the premium. If adequately maintained the Ontario Machete will provide a lifetime of service and is an extremely rugged and capable tool. This particular Ontario machete has an overall length of 23″, an 18″ blade, and weighs in the neighborhood of 1 lb 7 ounces. 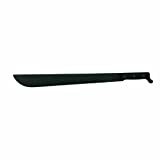 This is a heavy machete with a thick 1/8″ (3.2mm) blade. Ontario makes their machetes in 3 different sizes: 12″, 18″, and 24″ blades. I like the 18″ size. It has good reach for clearing light vegetation, but the thick steel has enough meat behind it to tackle much harder tasks. I feel that the 24″ machete is too heavy for my purposes, while the 12″ model lacks the reach I want for a machete. Of course, everyone’s needs are a little different. I like the 18″ configuration and think it hits a nice sweet spot for my purposes. The blade itself is a classic latin machete pattern. The knife features a partial flat grind that travels about 1/2″ up the blade. I have read that the edges these knives ship with can be kind of hit or miss – some arrive very nicely ground with shaving sharp edges, others are uneven and dull. My edge was serviceable and able to cut paper – completely adequate for the kind of bushwhacking I put it up to. Ontario selected 1095 high carbon steel for the blade, and heat treated it to approximately 55 HRc. I have talked about 1095 time and time again, but it’s a great tool steel that can get nice and sharp while remaining incredibly tough. It’s a great choice for a heavy duty chopper like this, and the heat treat has been done right. This is where the Ontario steps away from the $10 and $20 machetes you will find at Wal-Mart. Those tools are absolute crap and will not hold an edge like this machete which tend to warp, bend, and even break in half under use. Ontario coats the blade with a zinc phosphate coating that has held up really well in my testing and use. Speaking of testing and use, lets talk a little about what I did with this machete. Since I recently moved into a new apartment I had to get a little creative. I figured hacking through 2x4s in my living room, while thoroughly satisfying, was neither a good test of the knife nor a sane strategy for retaining my security deposit. So I moseyed on over to a piece of private land a few miles into the interior of South Florida. A fire raged through these parts a few years ago, and the charred remnants of scrub pine still stand sentry to the sandy trails and switchbacks the landowners have carved through their property. I spent the better part of an afternoon clearing low lying palmetto plants, chopping through downed limbs, and even felling a fairly substantial dead pine tree (and nearly killing myself and my camera in the process – don’t try this at home). The Ontario machete exceeded my expectations in every regard. The knife is so sturdy and heavy it’s almost too much to wield for traditional machete work. If all you are looking to do is clear very light brush, you may find this to be too much knife for your purposes. I won’t claim to be in great physical shape, but I think the 1/8″ steel will wear down even a practiced arm after a while. It’s a big and heavy knife and throwing that much carbon steel around quickly soaked my shirt with sweat. I will say I pushed this machete far beyond the natural limits of this kind of tool. I think it is important to emphasize the bad experiences I have had with cheaper machetes that have bent and even broke in half on me. I took out a 8″ diameter tree (a dead tree) with this knife and the edge was still sharp. This is thing is a beast. If you are looking for a budget chopper but still want quality I think you will be pleased with the capabilities of this knife. The Ontario machete is a full tang knife with thick plastic handle slabs riveted in place. It’s an extremely strong design and it comfortably fills the hand. There is an extended pinky notch on the back of the handle that helps hold your hand in place. The corners are rounded and comfortable and there is a hole for a lanyard. Having spent some time with this thing sweating under the southern sun, I will say that I noticed a distinct absence of traction with this handle design. I’m not one for overly textured handles, as they can quickly beat up your hands, but I advise either making use of the lanyard hole or wrapping the handle in some sort of athletic tape. I will say that I had no issues with hot spots or blisters. The Ontario machete does not come with a sheath. It’s ok because many aftermarket sheathes are available. I advise going with a classic plastic Rothco sheath (pictured) over a nylon sheath. The nylon sheathes get torn up easily while the plastic is both reasonably light weight and secure. I modified my sheath a little by removing the stock belt clip the sheath ships with (it only works with old school military belts), and drilling 2 holes to make a paracord sling. I took some scrap leather and made a little shoulder pad and carry the machete over my shoulder. I then used some ranger bands (thin strips of cut up bicycle tubing) to attach a sharpening stone. Big hat tip to David Canturbury for the idea – it all came from his youtube video that you can watch here. I ended up spending an extra $15 or so for the sheath and sharpening stone, and maybe half an hour modifying the sheath, but the end result carries well and is quite comfortable. I highly recommend this style of sheath and carrying configuration. The Ontario machete is an excellent all-around chopper. While it can certainly handle light brush and grasses, chores typically associated with machete like tasks, the knife is overbuilt to handle far heavier jobs as well. Ontario’s offering is made of solid materials, benefits from a classic design, and is well made. I am of the opinion that every man should own a machete, and if you can only have one then the Ontario should be at or near the top of your list. This is a little more expensive machete than the bargain bin crap that you will find at big box stores, but for around $50 you can put together a machete and sheath system that will serve you very well and last a lifetime. The only potential downside I see to this kind of machete is the weight. If you are looking to work with this machete in a field for 8 hours a day you either have to have way better technique than me or resemble The Rock, because this is a heavy knife capable of far more than light clearing tasks. In that case you may want to consider a smaller and/or lighter option. I recommend purchasing the Ontario Machete at Amazon or BladeHQ. Purchasing anything through any of the links on this website helps support BladeReviews. As always, any and all support is greatly appreciated! Thank you very much for reading. 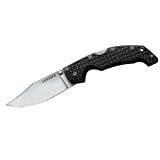 New for 2011, the updated Cold Steel Voyagers are taking the knife world by storm. There was a lot to like about the original CS Voyagers, but as technologies advance old classics need updating. And I gotta say, the new version really packs some nice improvements. Lighter, faster, with better locks and beautiful details – there is a lot to love about these knives. With 3 sizes, 3 blade shapes and the option of fully or partially serrated edges there is something for everyone. I have one of each size for your consideration here (the Medium Voyager, Large Voyager, and the XL Voyager). After testing them all I can safely recommend any one of these knives. Take the “voyage” with me and learn why I like them so much. Since I’m reviewing 3 knives here I figured it would be easiest to throw the dimensions into a table instead of listing them out. All the knives feel light for their size. Especially the Large and XL. The 2011 Voyagers come in 3 major blade shapes. You have the classic clip point shown here, you also have a nice tanto version, and a version known as the “Vaquero.” The Vaquero is a modified clip point with a serious recurve. The knife you decide on comes down to your personal preferences. I think they are all pretty good, but the Vaquero will the hardest to sharpen due to the extreme recurve. I probably should have bought one of each blade style, but what can I say, I’m a sucker for a nice clip point. And this clip point is really well done. Cold Steel started things off with a full flat grind. You also have a small swedge that forms a nice tip. There is plenty of belly and the edge is beautifully ground. Topping things off is an excellent stone wash. This blade finish really sets this knife apart. I greatly prefer the stonewash over Cold Steel’s teflon coating or blasted finish blades. All said and done the blade is really nice, especially when you consider the modest price tag. Steel on the 2011 Voyagers is AUS 8. This changed to BD1 in 2015-2016. Both are softer steels. Cold Steel got a lot of feedback from customers wanting something with better edge retention than AUS-8, so they upgraded their premium line of knives to CTS-XHP (and then S35Vn in 2018), and their more budget oriented knives they upgraded to BD1. I don’t have a lot of experience with BD1, but it’s a softer steel. Easy to sharpen, and presumably holds a better edge than AUS-8. I think it was a good option for the Voyager series as the price is still reasonable. The handle on the Voyager is a combination of grivory (Cold Steel’s proprietary high density plastic) over aluminum liners. Aluminum strikes me as a great choice for liner material here. It’s been hardened so we have good strength, and it’s nice and light. Grivory on its own is pretty tough stuff too, so we are left with a very robust handle design. In addition to the materials, I’m a big fan of the way these handles have been put together. Everything is screwed together for easy take down. The aluminum liners are neatly nested into the grivory. Everything lines up well and has been well finished. This is a high quality handle and it really shows. The ergonomics on the entire Voyager line are also very nice. Naturally you would expect the XL to work in your hand (and it does, in a variety of positions). The Large also functions quite well. The Medium had me most concerned as it was the smallest and was a knife I wanted to EDC. Poor ergos would have kept me from doing that. Thankfully, I was pleasantly surprised with how well the Medium fit in my hand. I wear a large glove and the Medium rested comfortably, with my pinky taking residence on the shelf making up the back part of the handle. I was even able to choke up a little (which I only recommend for light tasks). All the knives have deep finger choils and light jimping on the spine which give you a nice grip. Speaking of grip, all of the knives feature a kind of “iron cross” pattern on the grivory. This pattern is nice and grippy, but is not so abrasive that it tears up my pockets (although some people have had some issues with this – which sanding lightly under the clip would fix). All the corners have been rounded and all the knives fill the hand really well. All in all I am very satisfied with the ergonomics on these knives. The pocket clip on the Voyager generally great, but comes kind of stiff. It worked well with the thin shorts I wear down here in Florida, but I found the stiff clip a bit of a pain with thicker materials. However, it will naturally bend out with use, and if you want to you could always bend the clip out slightly yourself. You can only carry this knife in the tip up position, but I like how Cold Steel included 2 clips (for left or right side carry). I also like how CS gave these clips a black coating. The coating held up well in my 2 months of carry, although it finally started to wear off when I scraped it on some concrete. As far as actual carry goes, the Voyagers are pretty good considering their size. They are thicker knives, and the Large and XL are quite big, but they are very light so they are more manageable than they appear. I know several people who regularly carry an XL around and I gotta admit the knife slips into my jeans really well. Between the three sizes the Medium Voyager was my personal favorite for every day carry. The stiff clip kept the knife in place in my pocket. All in all these knives carry well. The Voyagers all use ambidextrous thumbstuds for deployment. They are good size thumbstuds, and it doesn’t take much effort to get any of the knives open (even the XL). I had my concerns that the backspring on the tri-ad lock would be too strong for easy deployment, but it really isn’t the case. I can even shake these knives open (with a good amount of force). CS put some high quality phosphor bronze washers in these knives and they feel very smooth. All in all I’m quite pleased with deployment. All of the Voyagers feature the now legendary Tri-Ad lock. I’ve spoken at length about these locks. They are basically an improved backlock. They actually feature a stop pin, so any force applied to the blade goes to the stop pin instead of the rest of the lock. This feature, combined with a very beefy lockback, make the strongest lock on the market. Performance is excellent – to the point where these knives will almost act like a fixed blade. But perhaps the biggest positive to these particular Tri-Ad locks is how Cold Steel adjusted the back spring. The Tri-Ad locks on both my Spartan and Hold Out II were very stiff. It took a lot of effort to disengage these locks, even after breaking them in. I was really concerned this would be the case for the Voyager. Again, I was absolutely wrong (man, sometimes it’s great to be wrong). The locks were very easy to disengage with one hand. Of course, they are still safe and stay locked when you want it locked, but when the time comes to put the knife back in your pocket, it won’t take a ton of pressure to disengage the lock bar. This is a huge win for the Voyagers. Cold Steel has really raised the bar here. The entire Voyager line is extremely well done. These are Taiwanese knives and I’ll tell you the fit and finish is fantastic. The various Voyagers sell in the $40-65 range depending on the size. At that price I think it’s a great value. Especially the Large Voyager. It’s hard to find a full size utility knife built this well at this ~$50 price point. I continue to be impressed with how perfectly everything lines up, how wonderfully everything has been finished, and how smooth the deployment, lockup and disengagement is. From a design standpoint there is a lot to like. The great choice of blade shapes, the comfortable lightweight handles, the excellent lock, the awesome pocket clip, the great materials – I could go on and on. So in conclusion, I like the Voyager series lot. It was one of the best releases in 2011, and when the upgraded the steel in 2016 they made the knives even better. In 2018 I still have my Medium Voyager. I find it a little thick for EDC, but it’s a hell of a work knife. If you are looking for a large utility knife then pick up a Large Voyager. Tough to beat. And if you are looking for a folding sword then snag the XL. The XL is a fun knife, but it’s not a gimmick. I recommend purchasing the Cold Steel Voyager at Amazon or Buy the Cold Steel Voyager at BladeHQ. Please consider that buying anything through any of the links on this website helps support BladeReviews.com, and keeps the site going. As always, any and all support is greatly appreciated. Thank you very much.